Derby happens every May, and Forecastle rocks your sweet soul every July. But what are you supposed to do for date night the rest of the year, especially in the winter? Watch Netflix? Watch Hulu? Watch HBO?! You and I both know that only leads to mounds of delicious snacks, soothing yawns, and a comforting obsession with sweatpants… actually that doesn't sound half bad. Anyways, wouldn't it be even better if you could do all of that with someone? To that end, we've amassed 30 great dates around Louisville that are perfect for winter. You don’t have to drive all the way to Bardstown to take in a distillery tour -- instead, check out East Market and go down the Rabbit Hole... or head Downtown to the breathtaking Evan Williams Bourbon Experience, complete with a historical narrative of how bourbon came to Kentucky. Or ht the Angel’s Envy distillery complex just down the street. Or hell, even Kentucky Peerless Distilling, just blocks down Main Street in Portland, among others. They’ll even let you hold hands. But not theirs. There’s just something inherently romantic about Joe Ley antiques. Maybe it’s the kinda quiet lower levels stuffed with all manner of vintage and old-timey items, or the winding staircases up through desolate, dusty showrooms full of glittering crystal, velvet, and nostalgia. When you’re finished gazing at the antiques, skip over to Royals Hot Chicken for a taste of Nashville. Named one of Louisville’s best bars, RecBar is a place to have dinner with your date, enjoy $3 glasses of wine during happy hour, or get a little competitive on one of the 40 video games and/or 30 pinball machines that help give this bar its name… also its game. Winter in Louisville always brings a little snow, and that brings sledders to Cherokee Park to take advantage of the hills. Or wipe out. More of the latter, usually. Once you've hit the point where you can no longer feel your hands, warm up a few blocks away at Heine Bros. Coffee with a steaming cup of joe. Every Sunday at the Speed Art Museum, admission is free, which means you and your sweetie can walk around and enjoy the enormous collection of works that literally spans more than 6,000 years of human creativity. If you want to step it up, catch After Hours at the Speed for live music and drinks to go with your art fix. 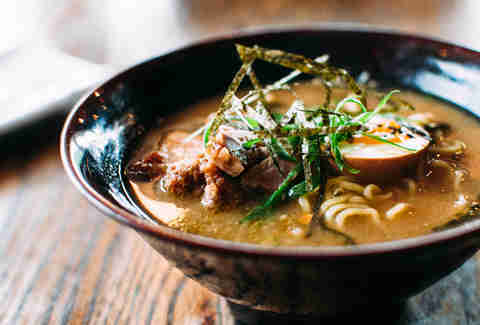 Nothing warms a belly like a piping hot bowl of ramen, and the Clifton neighborhood has two fine options: Mirin and Chik’n & Mi (which we named Louisville's best restaurant of 2017). Bowling is probably where your parents went on their first date, so why not rekindle a romantic tradition… but without that whole thinking-of-your-parents thing. Wear goofy rented shoes, grab a milkshake, roll a bunch of heavy balls into the gutter, and quote The Big Lebowski a bunch more than you normally would. From Revelry Gallery to Zephyr Boutique Gallery, there are plenty of specialty shops in NuLu. Bundle up against the cold and jump from shop to shop, then finish off your afternoon with one of the best chocolate chip cookies in town at Please & Thank You. And yes, you can get a hot cup of coffee. Play’s weekend drag shows are legendary. A $10 cover most weekend nights (though naturally that increases when special events are happening or special performers are brought in) gets you access to the glitziest, vampiest, craziest set of drag performers in town. From bluegrass, to brass bands, to tributes, Headliners Music Hall plays host to several concerts every week, all year long. 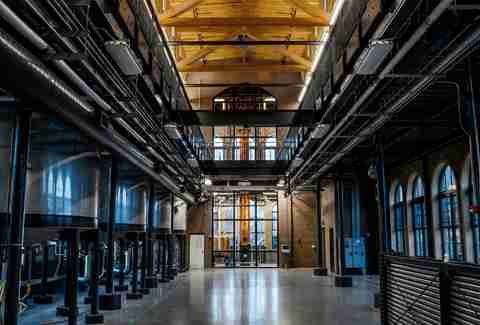 Cheers to the band as you and your honey get your ears full in what once served as a pre-Prohibition cafeteria for the former distillery next door. Become head of the house for a night at Central Park Bed & Breakfast, set in a Victorian mansion in the city’s Central Park area. Heat up the fireplace (there’s one in every room! ), settle in with a bottle of Olde English, and let romance flow. 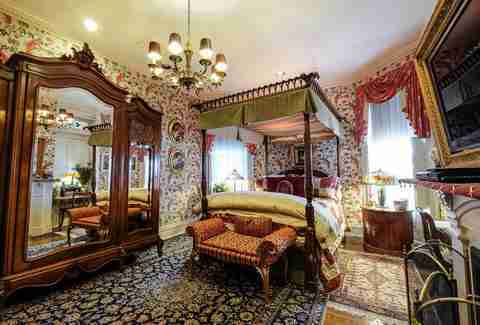 And, hey, if Central Park is booked up, there are plenty of other B&Bs to choose from. OK picture this: You’re sitting in a warm, dark hall with your arm around someone (preferably your date) as music plays and you both gaze up at the stars. Then, naturally, you'll point out the Big Dipper, as it's the only constellation anyone really knows anyways. Boom, romance. Bonus: It's only $8. Louisville might be best known for bourbon and horse racing, but it has a blossoming brewing scene as well. Hop on the bus with Derby City Brew Tours and get samples at every stop, from Apocalypse Brew Works to Against the Grain Brewery. If you're into solving puzzles and working with a team to crack codes, head to Breakout Games. There are seven different games to play (all with teams), and you'll each play a crucial role -- either to escape from a kidnapper, free hostages, and/or figure out what happened to a missing secret agent. No matter what mystery you choose, you'll have 60 minutes to uncover all the clues and beat the game. Going to an NBA game can be pretty pricey. Going to a U of L game, not so much. Head on down to Yum! Center Downtown to catch both the men's and women's squads take on top tier teams from around the nation. Tickets start at $30 with group discounts and VIP options available. Who says learning and romance can’t go together? Really? A lot of people? 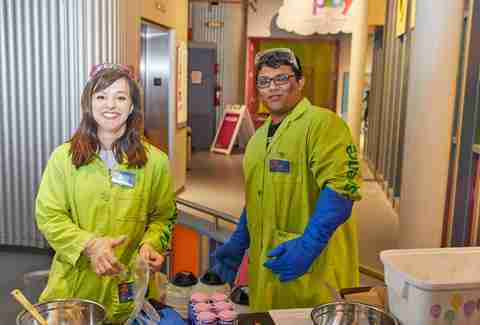 Anyways, every Friday and Saturday after 5pm, admission to the Kentucky Science Center is just $5. 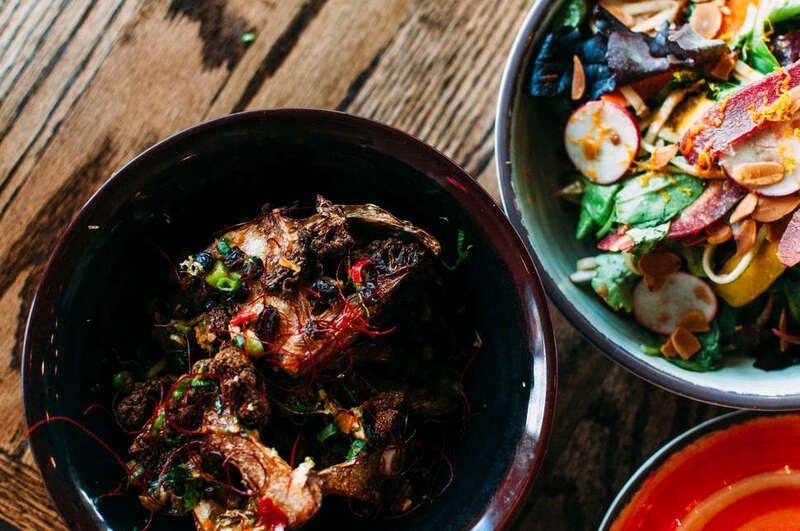 And after you’ve filled your brains, you can head down to chef Ed Lee’s MilkWood to fill your bellies with a few small plates of Southern-Asian fusion cuisine. Step 1: procure kitchen. Once that's accomplished, head over to ValuMarket in the Highlands, pick up all the fresh produce, meat, and other groceries you’ll need, and spend an evening in the kitchen cooking together. Cooking up romance that is… sorry not sorry. Few things are more Louisville than the city’s signature dish, a hot brown, featuring bacon, ham, cheese, and Mornay sauce, served as an open-face sandwich. The best place to have it? The hotel bar at the Brown Hotel, where the dish was invented. Louisvillians love hanging out in Vint. Part of the reason for that is that you can sit there and sip on your cappuccino in front of the fireplace (a big draw in winter). Or you can chat while sipping a craft beer or glass of wine. The Silver Dollar is a cozy bourbon bar set in an old horse-and-carriage fire station. Country music oozes through the place from a turntable in the corner, and the bourbon selection is second-to-none. Order a flight and let Kentucky’s favorite liquid warm you, inside and out as you enjoy the cozy setting... and then order chicken livers, which will be great after all that whiskey you drank. 21C Downtown is not just a luxury hotel -- the lobby is also a funky art gallery that's open to the public, with free admission. Check out the statue of David out front and the bejeweled limousine parked near the entrance, then stroll the 9,000-square-foot exhibit space. 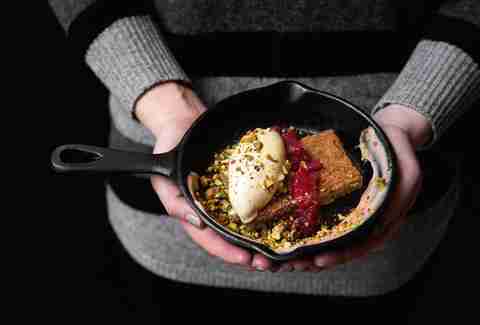 If you’re feeling hungry, you can cap off the evening with dinner at the acclaimed Proof on Main. Date night at Pinot’s Palette means sipping wine while painting with your partner. On Pinot’s official date night -- theme nights vary -- you’ll each get a canvas to paint on with the goal of creating one larger piece of art. You paint on one, your date paints on the other. Start off your afternoon with indoor rock climbing at Climb NuLu, and when you’ve had your fill, you can scurry across the street to Feast BBQ for some of the best ribs and pulled pork your mouth will ever encounter. When you’re done, cap it off next door at Akash Brewing Co. and grab a pint in their taproom. Take a stroll through a historic farmhouse built in the early 1800s. Learn about its importance to Louisville, its connection to Abraham Lincoln, walk the 18-acre farm plot, and see how early Louisville plantation owners lived. When you’re finished with your walking tour, you can stop by the gift shop for a souvenir… or simply leave! Louisville is probably best known for the Kentucky Derby and the racing history at Churchill Downs. Learn all about this rich heritage at the Kentucky Derby Museum, and when you’re finished, settle in at the counter across the way at historic Wagner’s Pharmacy for a great short-order meal. Not everyone is up for traditional dates. 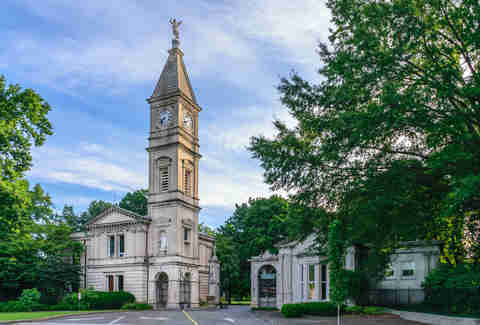 If that's you, bundle up and take an afternoon strolling around historic Cave Hill Cemetery. You can bring a picnic and dine by the pond while taking in the serenity, which is actually quite nice for a cemetery! Go-kart driving has traditionally been an outdoor activity, but during the lean winter months, Bluegrass Indoor Carting has you covered. Buckle in and enjoy the ride while driving some of the fastest go-karts around. And if you get hungry, you can always share a slice of pizza at the concession stand after. Take in a concert at Corydon LIVE! Set in a former lumber company building in Corydon, just a short drive West on I-64, Corydon LIVE! -- known by most as the Corydon Jamboree -- stages old-school country and bluegrass concerts every night, with special guests and a house band. Seeing a show in the cozy theater at the Bard’s Town is a true Louisville treat. From “celebrity” roasts, to improv comedy, to 10-minute plays, you never know what’s going to be on the stage in the upstairs theater. And before the show, grab a drink and a meal in the downstairs pub. Baxter Avenue Theatres, in the heart of the Highlands, is the place to take your date for a good indie film. Kick back in the reclining chairs for the main show, and when the movie is over, pick up a stiff drink a few steps away at the Back Door. Also, people-watching at the Back Door is its own type of cinema. Kevin Gibson is a Louisville, Kentucky-based author. In his nearly three decades as a writer, he has won numerous awards but doesn’t know where most of them are now. He is author of Secret Louisville, Louisville Beer, among other books. He currently lives in the Clifton neighborhood with his dog, Atticus.